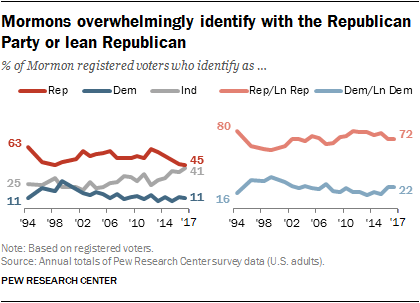 As of the end of 2017, about 26% of registered voters identified themselves as republican whereas out of the 37% identifying as independents, 42% indicate that they are republicans or lean republican. This translates to about 40% of registered voters are likely to vote for republican candidates. This constitutes the president’s base. Here’s the trend. The number of the voters claiming to be republican keeps going downward. The balance of partisan affiliation – and the combined measure of partisan identification and leaning – has not changed substantially over the past two decades. 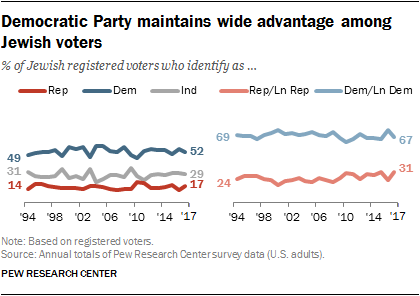 However, Democrats hold a slightly larger edge in leaned party identification over Republicans now than in 2016 or 2015. In Pew Research Center surveys conducted in 2017, 37% of registered voters identified as independents, 33% as Democrats and 26% as Republicans. When the partisan leanings of independents are taken into account, 50% either identify as Democrats or lean Democratic; 42% identify as Republicans or lean Republican. 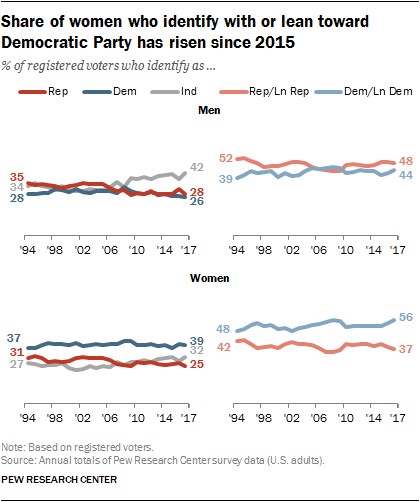 The 8-percentage-point Democratic advantage in leaned partisan identification is wider than at any point since 2009, and a statistically significant shift since 2016, when Democrats had a 4-point edge (48% to 44%). The analysis in this report draws on more than 10,000 interviews with registered voters in 2017 and tens of thousands of interviews conducted in previous years (see Methodology for additional detail). There continue to be fundamental differences in the partisan orientation of different demographic groups, and in many cases these gaps have grown wider in recent years. For instance, gender, generational, geographic and educational divides are now as wide, or wider, than in Pew Research Center surveys going back more than two decades. There are sizable and long-standing racial and ethnic differences in partisan affiliation, and they have shifted only modestly in recent years. White voters continue to be somewhat more likely to affiliate with or lean toward the Republican Party than the Democratic Party (51% to 43%). Since 2010, white voters have been more likely to align with the GOP than with the Democrats. 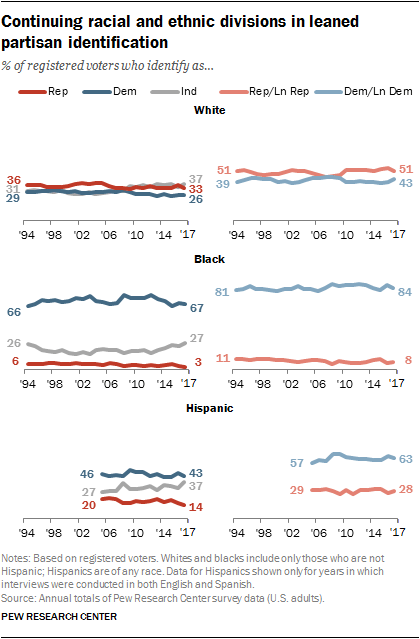 However, the share of whites identifying as Democrats or leaning Democratic has edged upward (43% now, up from no more than 40% from 2009 to 2016). This growth is attributable to a slight increase in Democratic-leaning independents, rather than a rise in Democratic affiliation. By contrast, African American voters remain overwhelmingly Democratic: 84% identify with or lean toward the Democratic Party. Just 8% of black voters identify in some way with the Republican Party. While black voters remain solidly Democratic, identification with the Democratic Party has declined modestly in recent years: About two-thirds of African Americans have identified as Democrats in the last several years, down slightly from the first half of Barack Obama’s presidency, when about three-quarters affiliated with the Democratic Party. By more than two-to-one (63% to 28%), Hispanic voters are more likely to affiliate with or lean toward the Democratic Party than the GOP. The overall balance of partisan orientation among Hispanics is little changed over the last decade. There is a similar balance of partisanship among Asian American registered voters: 65% identify with the Democratic Party or lean Democratic, compared with 27% who identify as or lean Republican. 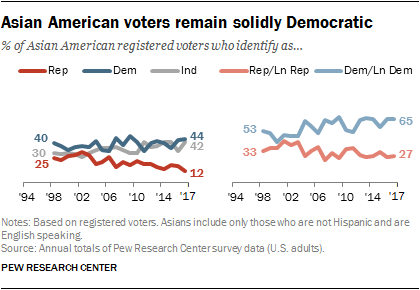 In 1998 (the first year for which sample sizes of Asian American voters were sufficiently large enough in Pew Research Center surveys), 53% of Asians identified with or leaned toward the Democratic Party and 33% identified with or leaned toward the Republican Party. (Note: Only English-speaking Asian American voters are included in the data). The share of Asian American voters who identify as Republican is now only 12%. While this is little changed in the last few years, it represents the continuation of a longer trend in declining Republican affiliation among Asian voters. Among Asians, identification with the Democratic Party has remained relatively stable over this period. The share of Asian voters who say they are political independents has risen steadily since 1998, reflecting a more general trend among all voters. A gender gap in partisan affiliation and leaning is seen across racial and ethnic groups. For instance, there is a 9-percentage-point gender gap among white voters: While 48% of white women affiliate with or lean toward the Democratic Party, 37% of white men do so. 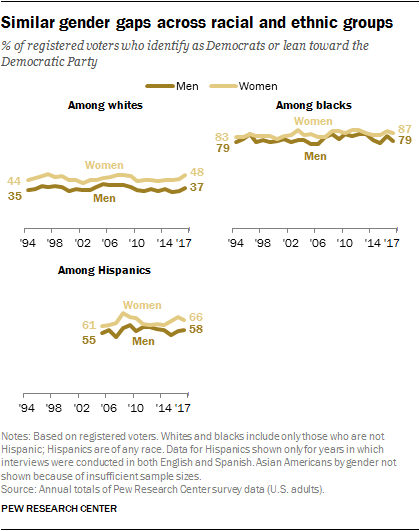 Similarly, there is an 8-point gender gap among black voters (87% of black women vs. 79% of black men), as well as among Hispanic voters (66% of women vs. 58% of men). White evangelical Protestants remain one of the most reliably Republican groups of voters, and the GOP’s advantage among this segment of the population has continued to grow in recent years: 77% of white evangelical voters lean toward or identify with the Republican Party, while just 18% have a Democratic orientation. White mainline Protestant voters are more divided in their political identities. 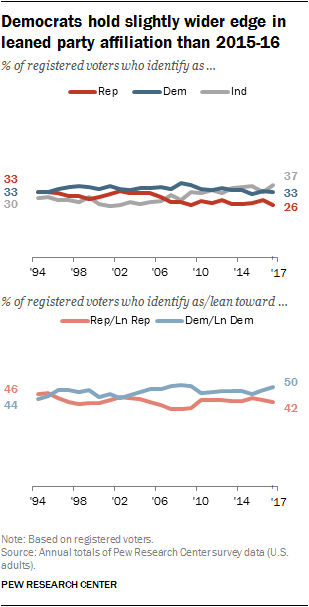 As has been the case for the last several years, a narrow majority (53%) affiliates with or leans to the GOP, while 41% lean toward or identify with the Democratic Party. Black Protestant voters remain solidly Democratic in their partisan loyalties. Almost nine-in-ten (87%) lean toward or identify with the Democratic Party. Overall, Catholic voters are roughly evenly split between the share who identify with or lean to the Republican (46%) and Democratic (47%) parties. But white Catholics and Hispanic Catholics diverge politically. White Catholic voters now are more Republican (54%) than Democratic (40%). 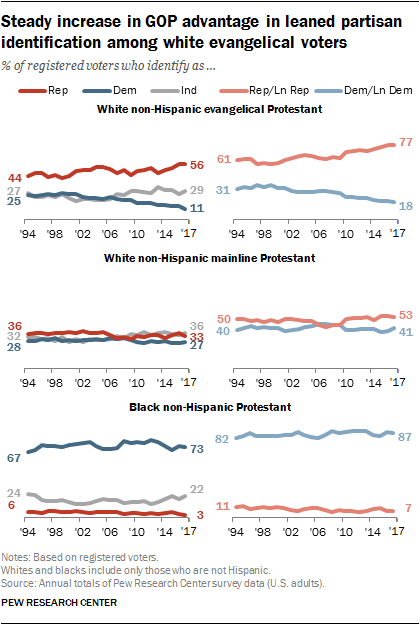 While the partisan balance among white Catholic voters is little changed in recent years, this group was more evenly divided in their partisan loyalties about a decade ago. 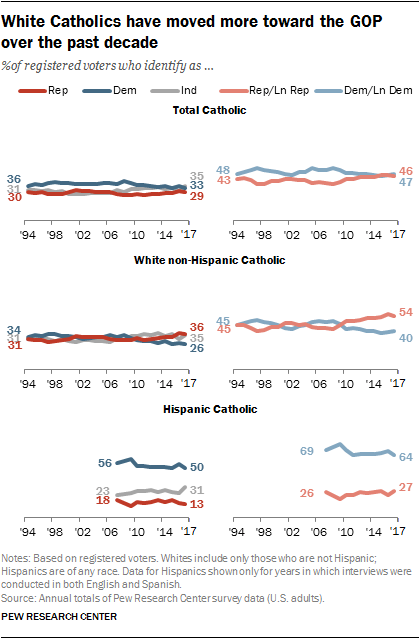 Hispanic Catholics, who represent a growing share of the Catholic population in the U.S., are substantially more Democratic in their orientation (64% of Hispanic Catholic voters affiliate with or lean to the Democratic Party, 27% to the GOP). While Mormon voters remain a solidly Republican group (72% overall are Republican or Republican leaning), in recent years Mormons have been less likely to identify asRepublican than in the past. Mormon voters are now about as likely to identify as independent (41%) as they are to identify as Republican (45%). For most of the past two decades, majorities of Mormons called themselves Republicans. By about two-to-one, Jewish voters continue to identify with or lean toward Democratic Party (67% vs. 31% who identify with or lean Republican). 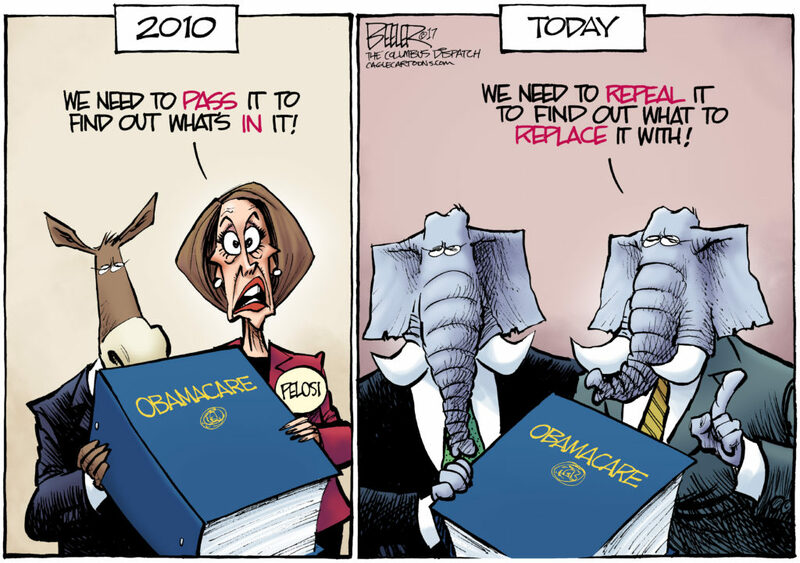 This balance is little changed over the last decade. 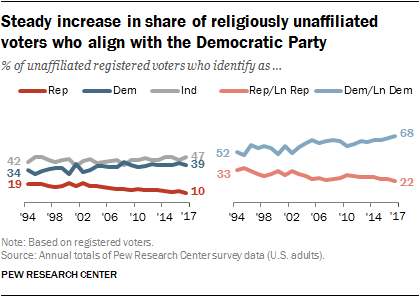 The religiously unaffiliated, a growing share of the population, have shown steady movement in orientation toward the Democratic Party. In 1994, about half (52%) of religiously unaffiliated voters leaned toward or identified with the Democratic Party. Today nearly seven-in-ten (68%) do so. These numbers reflect the numbers as of December 2017. 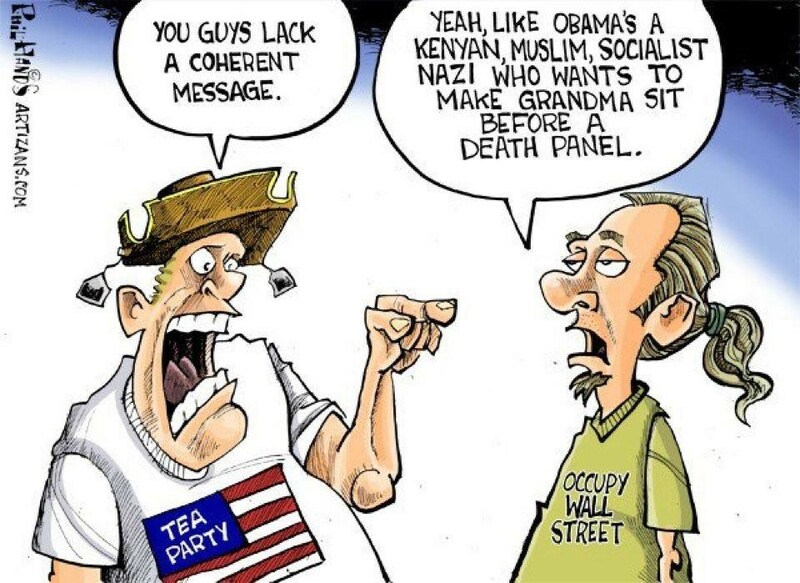 More members have left the republican party to become mostly registered Independent voters. It still is crucial that democrats not sit on the couch this coming November 2018. The president will be using ant-immigration rhetoric and his trade wars to motivate his base to get out and vote which they will do. 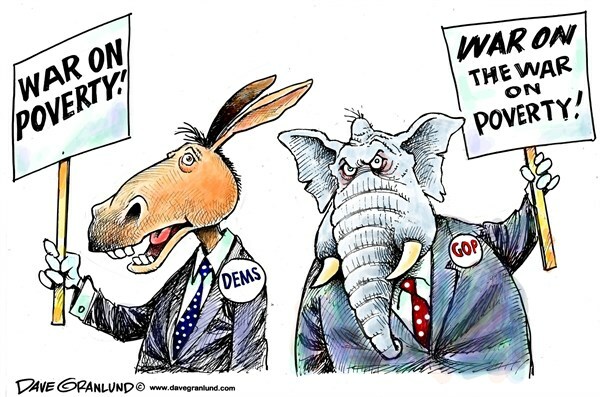 The Democrats have to realize that to win back our country, everyone needs to vote. This is a fascinating insight. But shows an underlying tragedy unfolding, the parties are starting to split upon racial and religious lines; this cannot be good. In a Democracy you should not be able to identify a voter by skin colour, religious affiliations or ethnic grouping. The numbers above are good through December 2017. The good news is that even more folks are leaving the republican party. This translates to the presidents base to be a minority of voters but a very intense, motivated group of voters. It explains why republicans who hope to remain in the US Congress are still catering to him. They can’t win without the president’s supporters. What is true, is that everyone who wants to vote against the president’s direction that he is taking the USA, needs to get out and vote. D-Day for Democratic candidates winning back the majority position in the US Congress is about 5 months away. This is the issue which No-Voters don’t comprehend. Those with very strong views will vote come rain, hail, snow or shine and No-Voters don’t have strong views. Which means No-Voters might find their fluffy little world being intruded into by folk with strong views that the No-Voter does not care for…..Too late.